The mission of the Barbara Holston Education Fund (BHEF) is to provide participants in Fort Worth Housing Solutions’ housing programs with financial assistance to pursue academic or vocational training. The Fund is a non-profit, tax exempt, 501 © (3) organization that accomplishes its mission by obtaining funds from donations, contributions and fundraising activities to fund scholarships, grants and other types of financial support. The Fund is administered by a Board of Directors composed of volunteers from the community and appointees from FWHS and QuadCo staff. Educational expenses beyond the traditional high school are a concern for most low-income students. They face lower college attendance and graduation rates than higher-income students. Simply writing a check for tuition and other expenses is usually not an option for them. Ancillary expenses associated with school attendance such as books, fees, supplies and transportation also impact how much an education will cost. The Education Fund will make a college or vocational education more accessible to students in FWHS programs by providing supplemental funds that will help to offset the cost of their education. Providing the opportunity for an education will break the cycle of poverty that tend to pass between generations. The Barbara Holston Education Fund was created to recognize Barbara Holston’s long history of service and dedication to personal achievement. The Fund will be used to create a positive difference in the lives of FWHS clients and will help to expand their academic and vocational achievements. The Fund will empower qualified program participants to reach their person­al and professional success by providing scholarships that will be used to cover education-related expenses like (tuition, books, training fees and etc.) as recipients move toward their dreams. The impact that your support will have on the futures of low-income program participants and their families is immeasurable. Just one look at the faces of a new graduate receiving his or her diploma; or a mother or father starting their first day on a new job because of a hard-earned training certificate will tell you the real worth of your gift. 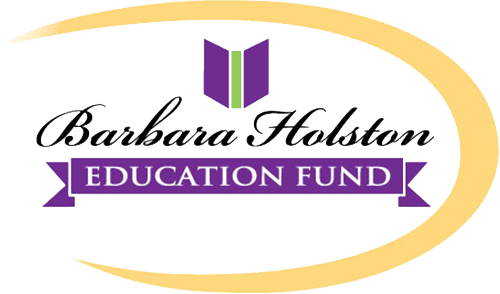 You are invited to be a supporter of the Barbara Holston Education Fund.